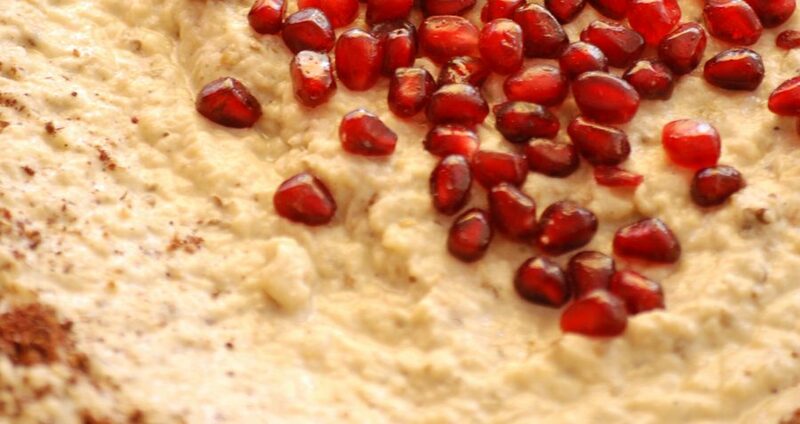 With so many Middle Eastern eateries, especially in the capital, and with the prevalence of international travel most people are aware of a dish called Baba Ghanoush. But it is a name that has become synonymous with a dish in the same way that Aspirin became synonymous with painkillers and sometimes it can be confusing. It doesn’t help either that in Egypt they use the term Baba Ghanoush instead of Moutabbal. Given a lot of people have visited Egypt, you can see where some of the confusion comes from! A lot of “Lebanese” restaurants and eateries in London aren’t actually run by Lebanese and often serve a mixture of dishes from around the Mediterranean, including North African dishes. Generically, like Aspirin, they list the smoked aubergine purée as Baba Ghanoush on the menu and so the name sticks. But, there is actually a big difference between the dishes. The principle difference is the tahini – the sesame purée, but there are others. Do you like this post? Want more insight into vegan food? The check out this post on the Happy Happy Vegan Blog titled ”Does Tahini go Bad”. Remember to browse around the HHV blog for more insights into veganism and the many dilemmas you may face.